SOA is about decoupling and reuse, leading to business agility. 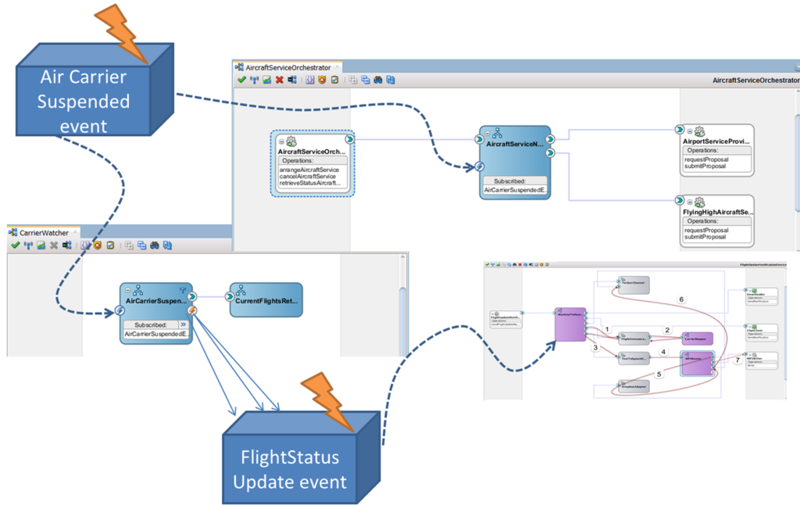 In the previous chapters we have seen many examples of decoupling, both within and between our SOA composite applications, as well as between these composites and external services and systems. This chapter introduces the Event Delivery Network (EDN) in SOA Suite—a facility that provides advanced decoupling by mediating events between producers and consumers that are unaware of each other. Composite applications can subscribe to one or more of the centrally defined business event types and are notified by the EDN whenever an instance is published of one of those types. More specifically, both Mediator and BPEL components can produce and consume events. Events can also be correlated into running composite instances through BPEL components. 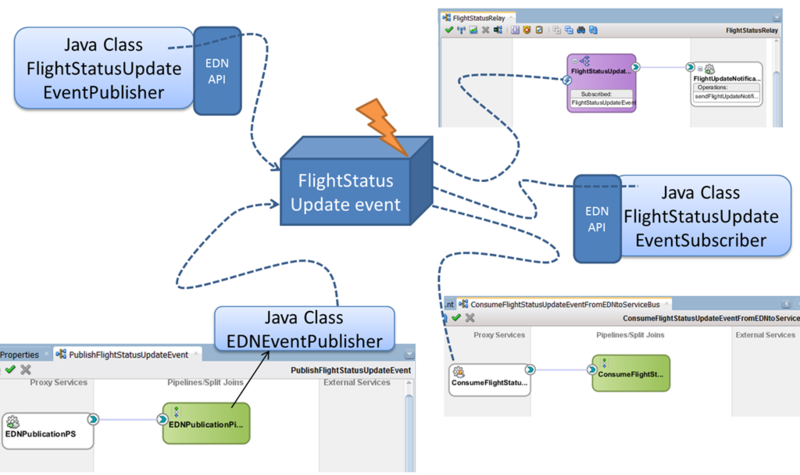 The EDN can be listened to or published onto from local and remote Java clients as well as from Oracle Event Processor (see the next chapter) and BPM processes (see chapter 19). 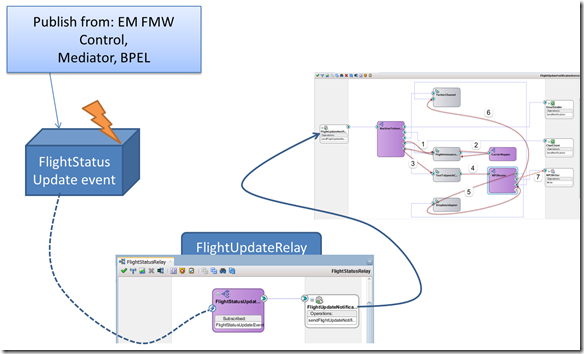 Note: Service Bus does not natively interact with the EDN; however, the underlying implementation of EDN is JMS and of course Service Bus can interact with a JMS Topic. Sources for this chapter can be found on Github: Chapter 15 sources.